The US seeks to break up Iraq directly, without the help of Turkey and Saudi Arabia, but has left Yemen to the Saudis, said Rezaei. 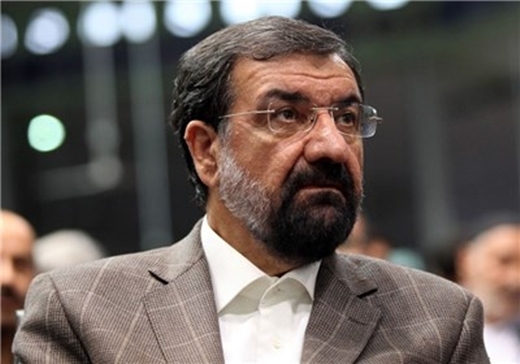 Secretary of Iran’s Expediency Council Mohsen Rezaei warned against a US-engineered plot that entails the disintegration of Syria, Iraq and Yemen. “They (Americans) want Iraq to be divided into three countries, Syria into two countries and Yemen into northern and southern states,” Rezaei said Sunday at a press conference in Tehran. Making a reference to the remarks made by US officials about partition of Iraq, Rezaei said Washington wants to do the dividing of the Arab country by itself but has left Yemen and Syria to the Saudi rulers. Should the US plan get implemented, the Iranian official warned, insecurity will plague the region for at least 20 to 30 years. Although there are disagreements within the Saudi royal family over that plan, Riyadh is assigned to perform part of the partition project in Syria and Yemen anyway, he added. “The US seeks to break up Iraq directly, without the help of Turkey and Saudi Arabia, but has left Yemen to the Saudis,” Rezaei stated. Back in 2007, US Vice President Joe Biden advocated a proposal for a three-way partition of Iraq. Iraq has been the scene of clashes between military forces and the ISIL terrorists since the foreign-backed militants attacked the Arab country from Syria in summer of 2014. Syria has been also gripped by civil war since March 2011. According to the United Nations, more than 220,000 people have been killed and one million wounded during the conflicts. Yemen has been under deadly airstrikes by a Saudi-led coalition since March 26. According to the spokesman of the Yemeni Army, attacks on the Arab country have killed more than 2,000 people, most of them civilians.